Looking for elbow room to build your new home? 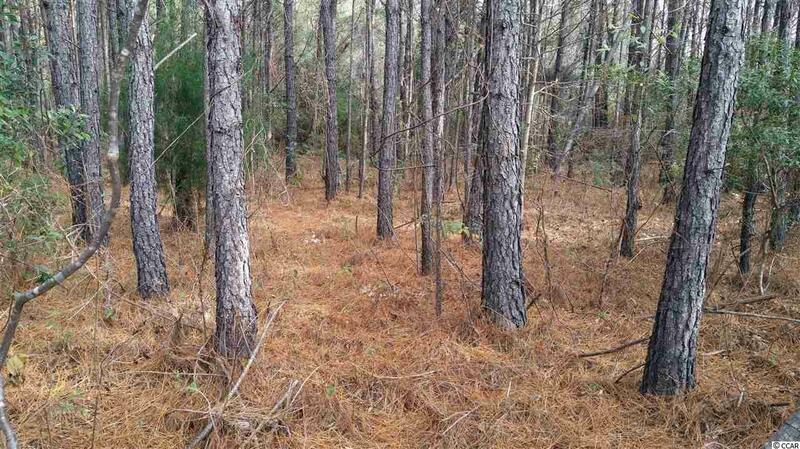 This 2.3 acre wooded lot is just outside of Georgetown and only about 15 minutes to Pawleys Island Beach. Surrounded by larger homes on larger lots this homesite will give you the space you want and the convenience of being close to everything Georgetown has to offer- shopping, grocery stores, fine restaurants, marina, Historic District, hospitals, doctors, South Bay Park and more… Minimum heated sq ft is 2000 sq ft. CLICK THE VIRTUAL TOUR LINK FOR- SITE PLAN, ZONING INFO, MAP AND MORE. Buyer responsible to verify all listing information.